Pole rattan frame with open cane woven back. Coil weave on trim. 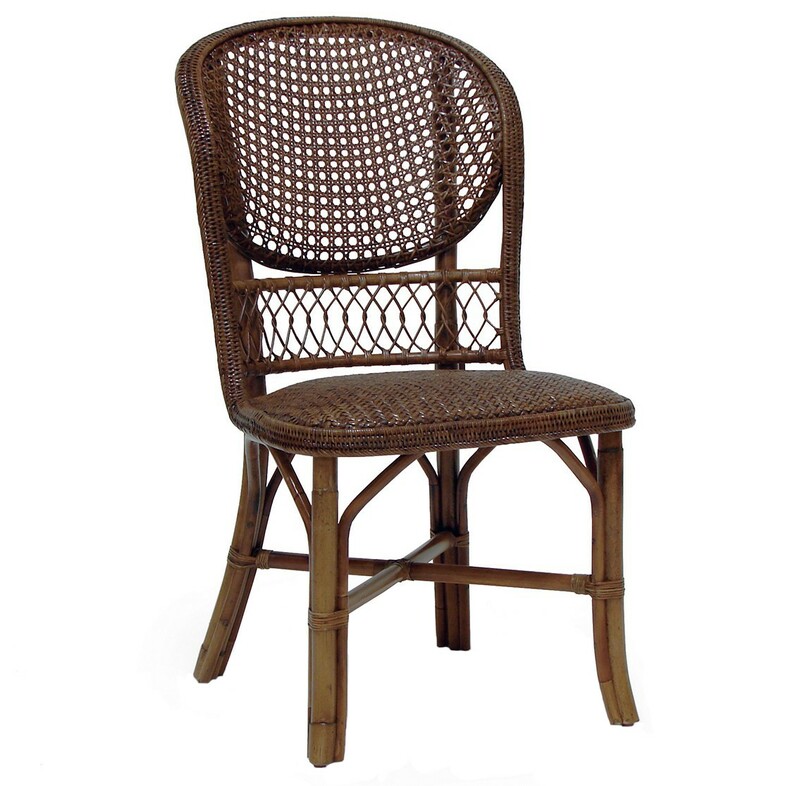 Padded rattan mat seat.